During the 1930s, rapid advancements in aviation were in no small way fuelled by a growing understanding of the science of aerodynamics. Following the outbreak of hostilities in 1939, with scientific interest supplanted by urgent necessity, the pioneering research into airflow management would now come with an added dimension. The increased application of wind tunnel testing allowed engineers to properly assess the behaviour of aircraft in simulated flight and more accurately determine the most efficient shapes. But as the British aviation industry rapidly contracted in the immediate post-war era, large numbers of highly skilled aeronautical engineers found themselves not only out of work, but vastly over-qualified for the civilian arena. Many found their way by osmosis into UK motorsport, where marginal gains could be translated into race victories. Amongst such figures, two in particular can be rightly described as pioneers: Frank Costin and Malcolm Sayer. Born in Cromer, Norfolk in 1916, Malcolm Sayer attended Loughborough University, attaining a first class honours degree in Automotive Engineering. In 1938, he joined the Bristol Aeroplane Company, spending five years in Filton’s experimental department developing the Blenheim and Beaufighter aircraft. Sayer left Filton in 1948, accepting an offer to set up an engineering facility at Baghdad University. It was was here he is said to have befriended a German engineer who taught him a unique method of mathematical formulae using datum points plotted numerically to determine optimum three-dimensional curves – a discovery which would alter the course of his career. In 1950, with the academic position having proven to have been something of a mirage, he returned to the UK where he initially attempted to make a living as a landscape artist. 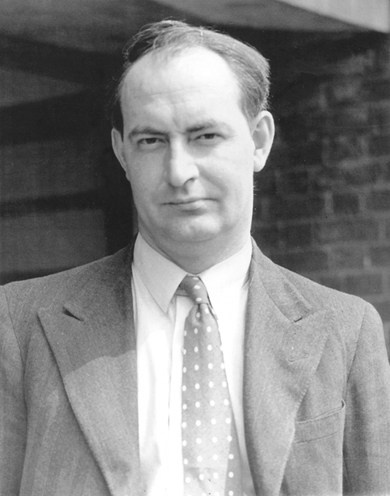 Frank Costin was attracted to the purity of calculus at a tender age, describing Euclid’s theorem one as “the most beautiful thing I’d seen in my whole life.” Born in Middlesex in 1920, he studied for a BSc at Acton Tech before the War intervened. He enrolled as a fitter at General Aircraft, rapidly rising to the drawing office. Specialising in wing design, he later worked at Airspeed, Supermarine and when the former was taken over by De Havilland, became involved in experimental aerodynamic flight testing – ultimately assuming overall responsibility for this work at their Chester division. By the late 1950s however, the industry was declining and by 1958, Costin was gone. 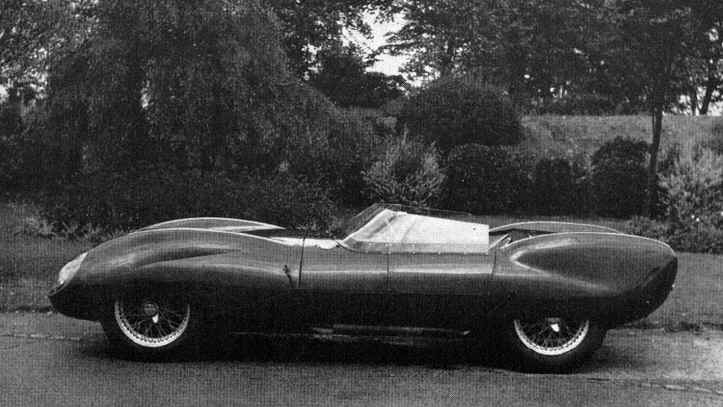 Meanwhile, with a young family to support, Malcolm Sayer replied to an advertisement from Jaguar in 1950, and a short term contract at their experimental racing department quickly found him immersed in a multitude of road and race car projects and a full-time position reporting to engineering chief, Bill Heynes. Jaguar’s subsequent racing successes were in no small measure due to Sayer’s aptitude with slide rule and logarithms. Sayer’s aviation knowledge became particularly evident in the D-Type’s body and structure design, with it’s stressed alloy fuselage and vertical tail fin, it was to some extent more aircraft than motor car. The skilled metalworkers in Jaguar’s competition department came to appreciate Sayer’s unorthodox methodology of plotting body co-ordinates, not least because he was so exact in his measurements. According to Experimental department foreman, Bob Blake, one could put one’s finger or a drawing pin at any point on the skin of a Sayer design and he could provide the dimensions to within a thousandth of an inch. Described as essentially an analogue version of modern computer aided design, the deep understanding of pure mathematics required was beyond the scope of most outside of Bletchley Park. Nobody at Browns Lane had seen the like, an insider describing him as “quite the miracle”. Sayer would determine the coordinates, which would then be printed onto paper, board, or aluminium, as required. Once skinned, it would be the shape he wanted. The miracle was that with a tiny budget, Jaguar were capable of besting vastly better funded operations in what at the time was the World’s most prestigious motor race. What gave them their edge was aerodynamics, and without Sayer, Jaguar’s Le Mans dream would most likely have remained just that. By 1953, Frank Costin too had gravitated to the racetracks, becoming involved with the fledgling Lotus company. As the race wins built up, Costin rapidly became the freelance aerodynamicist to work with. His work with fellow ex-De Havilland engineer, Colin Chapman produced the body skin shapes for Mark’s Eight though to Eleven, including some detail aerodynamic changes to Peter Kirwin-Taylor’s sublime Type 49 Elite road / race car. Costin’s designs combined low drag, stability and clever use of airflow; his understanding of air pressures, and the manner in which they could be employed for cooling and extraction through carefully positioned ducts meant that Costin’s designs may not have always been aesthetically pleasing, but they worked. His work for Lotus brought recognition, but his involvement with the Vanwall Grand Prix car gave him credibility. The Vanwall wasn’t just a race winner however, it was perhaps one of the most beautiful Grand Prix cars of all time. Yet, it wasn’t always seen as such, Costin stating, “if a car wins it becomes beautiful.” He professed to not having the slightest interest in styling, taking his cue from the aviation industry, telling a journalist, “If we find an aircraft flies better with three rudders and five tailplanes, that’s what we use”. Certainly, many of his designs reflect this thinking, but cars like the Vanwall, the Lotus Eleven – (in some ways, a D-Type in miniature), and Costin Amigo suggested aesthetic sensibilities were not mutually exclusive to aerodynamic efficiency. Sayer by contrast channelled both his scientific and artistic backgrounds, producing exquisite, sinuous shapes – but also with the knowledge that Jaguar’s CEO and styling arbiter would look favourably upon a visually pleasing envelope. Both men worked primarily from calculations – wind tunnels being both scarce and prohibitively expensive. Sayer was fond of observing his designs in motion using wool tufts; short pieces of wool fabric attached to the bodywork in order to better observe the airflow, often spending hours at MIRA observing and photographing his calculations in motion. 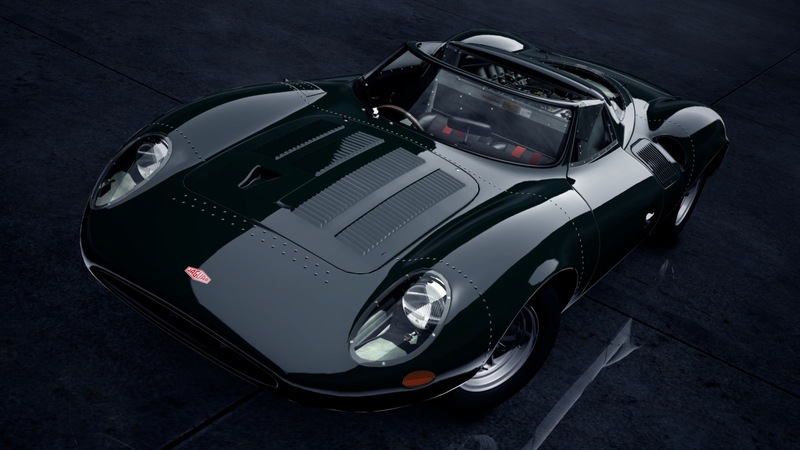 The D-Type was perhaps the most technically advanced racing car in existence in 1954 – the automotive equivalent perhaps of the beautiful De Havilland Comet – albeit without its inherent fatal flaw. For both Costin and Sayer, the primacy of their calculations outweighed other considerations – the latter once insisting the Jaguar badge be removed from the nose of one of his creations because it interfered with his painstaking formulae. 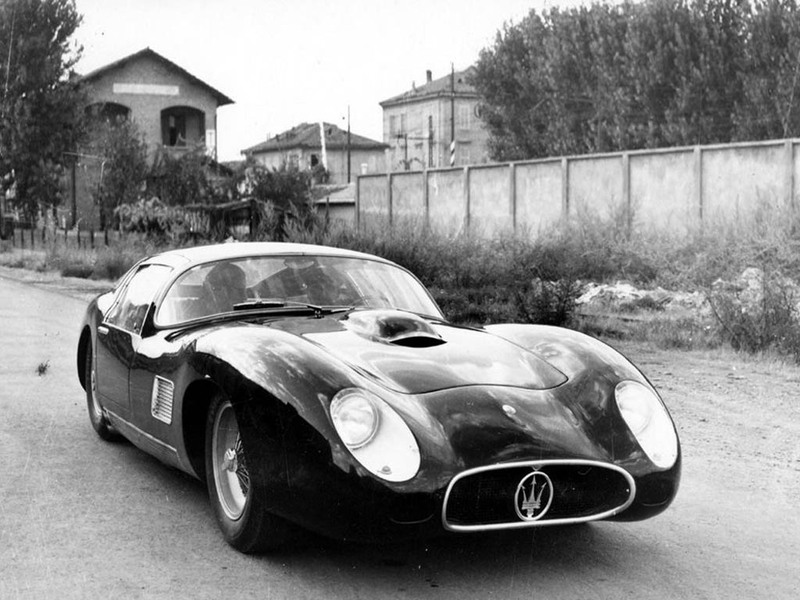 Costin suffered worse barbarism when a specially commissioned Maserati was botched by Zagato, causing his exacting shape to be butchered, and while Sayer enjoyed a degree of authority within Jaguar, as a freelancer, Costin was often over-ruled or had his work altered against his wishes. Both men however, remained in the margins within the world of motor racing – a position both men presumably preferred. Costin had this to say about the industry he helped shape; “Motor racing is only the pop scene of engineering… I hated the publicity and the bull, it just wasn’t done in the aircraft industry where your work was signed only by your initials”. For both men, the late 1950’s would prove to be the pinnacle of their careers. For Sayer, Jaguar’s withdrawal from front-line motorsport in 1957 meant that a sizable part of his remit was no longer relevant, although he would continue to run an advanced skunkworks within Browns Lane until the late 1960s. For Costin, his work continued to be misunderstood and ‘messed with’ – often walking out on projects in frustration, gaining a reputation as a prima donna along the way. It’s been suggested that both Costin and Sayer had a blind spot regarding air dams and spoilers, perhaps taking the view that use of such devices were indicative of poor mathematics; certainly, Sayer’s mid-sixties XJ13 design was devoid of them. 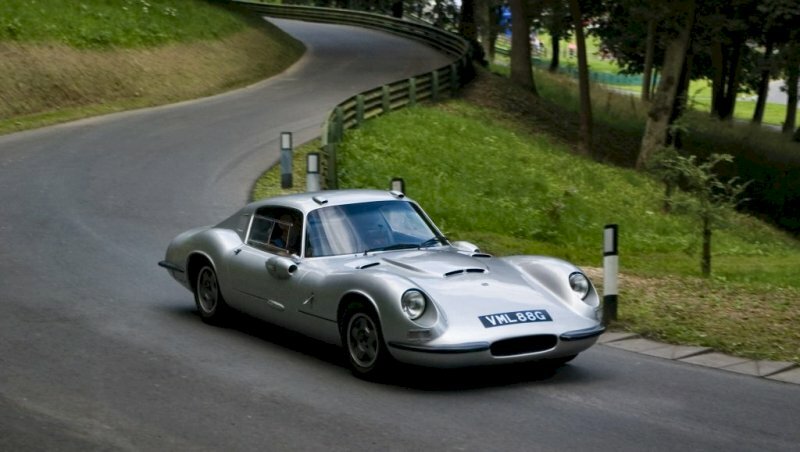 However, a late-60s Sayer concept for a mid-engined race car was clearly intended to feature movable aerodynamic elements, something that took decades to be more widely adopted. Costin was also reported to have discussed ground effects with Colin Chapman during the 1960’s, although neither could work out how it could then be achieved. Clearly both men were advanced thinkers but their theories and methods were becoming increasingly at odds with the orthodoxies of the 1970’s. While both Costin and Sayer’s career trajectories dovetailed to some extent, similarities between the two men run deeper still. Both men emerged from the aircraft industry, an environment where ego and self-aggrandisement was anathema. Hence both were publicity-shy, quietly spoken men with broader interests outside the automotive world. Both were keen musicians – Costin composed music, and in his earlier life, was an Olympic-standard swimmer. Sayer was a talented multi-instrumentalist, watercolour painter, and cartoonist. Both were nonconformists, in their approach to work and in their personal lives. Former colleague, Norman Dewis latterly described Sayer as a gentle giant with a ‘bohemian’ homelife, his family speaking warmly of a loving and devoted father. Costin’s reputed prickly character is said to have masked a kind, thoughtful man with committed religious beliefs who suffered many reversals and betrayals, so if he choose to shield himself behind a somewhat spiky persona, it’s perhaps understandable. Costin increasingly lost interest in motorsport, becoming embroiled in the abortive TMC Costin sportscar project in Ireland during the 1980s, ultimately retiring to Cork’s West Coast where he designed and built his own house. Unsurprisingly, Costin used his skills and experience with materials – principally wood, painstakingly calibrating the necessary stresses and loadings. He continued to work as a consultant and became involved in altruistic work with disadvantaged children, living out his days modestly, before passing away aged 75 in February 1995. By 1970, Sayer had become de-facto design chief at Jaguar. It remains tempting to imagine what could have been achieved had he not died of a sudden heart attack at the age of 53, after all he had already started taking Jaguar styling in a markedly different direction. Sayer’s family have more recently suggested his premature death was hastened by despair at a lack of recognition – at the time of his death in April 1970, he was a virtual unknown. Certainly by then, he faced a crossroads. To accept the mantle of design leader at Browns Lane despite being on record saying he was not a ‘hairdresser’. Nor was he likely to have been a political animal. It is certainly difficult to imagine a man of his character thriving amidst the poisonous environment within British Leyland as the decade progressed. 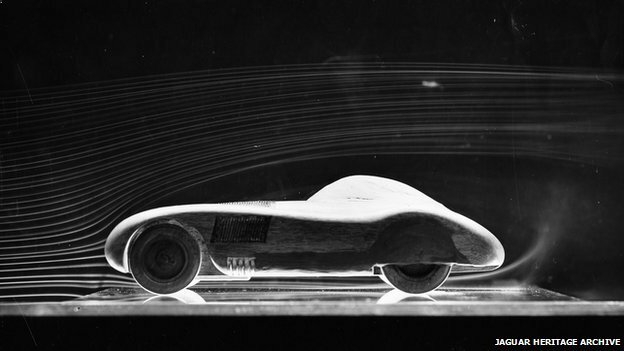 Arguments have raged in recent years about Sayer’s design legacy – especially when subsequent wind tunnel tests have illustrated the D and E-Type’s drag coefficients to be less impressive than previously imagined. However, like Costin, it’s likely Sayer was not particularly interested in Cd figures, more the complete aerodynamic package. It is also worth remembering that late-era D-Types were achieving straight line speeds of around 190mph at Le Mans, well in excess of what rivals were managing with more power. Moreover, the D-Type was a stable, relaxing car to drive over a 24 hour race, which counted as much as outright speed. Norman Dewis is also on record saying the prototype XJ13 remained aero-stable at speeds of over 200 mph. Would he have remained at Jaguar? It’s quite possible he could have made a switch to academia – somewhere that may have better suited his temperament. Former MD at Lotus, Mike Kimberley worked closely with Sayer at Jaguar during the 1960s and described him as a “brilliant man with a tremendous depth of thinking. He was a very fundamental thinker”. 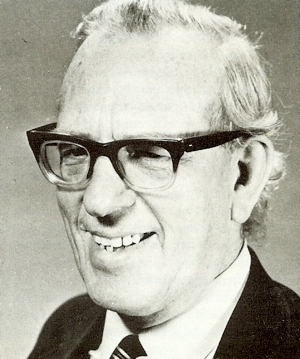 Frank Costin described him as the “first serious aerodynamicist”. However, in pure engineering terms, his work stands as pure aerodynamic thought without dressing or frippery. Sayer too was thwarted. Few of his ideas making it past the drawing board and many that did being altered and compromised by aesthetic or legislative dictates – notably his designs for the E-Type and particularly that of the XJ-S. Neither man made anything but a modest living from their craft, Jaguar being notoriously penny-pinching, while Costin as a freelancer, would have been at the mercy of his client’s whims. Sayer has only latterly been widely recognised for his talent. Costin too remains little known and unheralded outside enthusiast and motorsport circles – his designs perhaps failing to sufficiently capture the wider public’s imagination – unlike for instance the universally lauded E-Type. Both men however remain a vital link in the development of automotive aerodynamic theory during a period of profound change and technological progress. UK motorsport in particular, owes both men a huge debt. As do enthusiasts and all who appreciate design in its purest sense. Today, Driven to Write salutes two giants of aerodynamics: Malcolm Gilbert Sayer: 1916-1970 : Francis Albert Costin 1920-1995.